Please use our artist guide as a reference point. It features everything you’ll need to know to have a great experience selling commissions on the site. Believe it or not, you do not need a user account to be a member of the ArtCorgi network. All you need is to have submitted an artist application. We handle order processing and fulfillment via email, to spare you from having to log into and check yet another account (we’ve all got enough of that, amirite?). 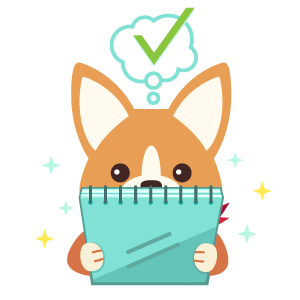 When clients place orders on ArtCorgi, you will be sent an email that contains client information, notes, and reference photos. A panel of five other ArtCorgi artists will vote to determine whether or not your contested commission meets our quality standards. 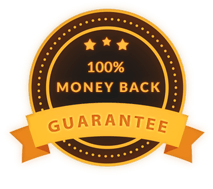 Your commissions will not be scrutinized against our quality standards unless a client submits a complaint. You are not expected to communicate with your clients, though you do have the option to include client notes along with your drafts and finished commissions. In general, we handle communication so that you can focus on creating work and avoiding distraction, and also that we can ensure that both artists and clients are treated fairly and with respect. We prefer that you not reach out to clients directly. If drafts are reviewed or other communication takes place outside of our knowledge, we can do nothing to ensure a high quality experience either for you or for your client. If you absolutely must communicate with your client directly, please at least CC us on communication and send drafts and final files to us, so that we have proof that you have done what is expected of you per ArtCorgi’s Terms of Service and Artist Contract and can defend your position should a client submit a complaint or ask for a refund. After a client has placed an order, you have 48 hours to decline. If we do not hear from you within 48 hours, we will assume that you have accepted your client’s commission order. 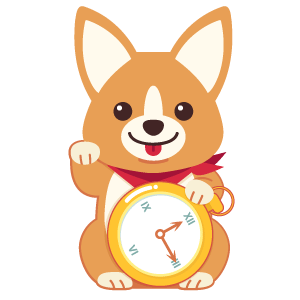 If you fail to complete an order within your specified turnaround time and also fail to decline an order within 48 hours, you will lose your place in ArtCorgi’s network. That would make us really, really sad. We like to avoid scenarios in which artists decline orders as much as possible, because getting turned down by an artist you like feels… really bad. Please send us an email as soon as you know you will not be able to take orders at some point in the immediate or near future. We will remove your commission pages from the site for as long as necessary. We’re happy to do so for a specific period of time (such as while you are out on vacation from May 14th to 28th) or to do so for an unspecified time (such as from now until we hear from you again). It is really important to us that your work only be displayed on the site when you are available to accept orders. Ordering art from an artist who doesn’t respond feels awful! We also have to remove all artists who do not fulfill orders (or decline them within 48 hours, or do not respond to one of our check in emails within 48 hours) from our network, and that’s a huge bummer. Don’t get kicked out- just let us know when you’re not around! To submit a new commission style to be offered on ArtCorgi, fill out our new style submission form. We’ll get the new style up ASAP, and email you with the URL to review (just to make sure we’ve formatted and explained everything properly). Once we have that information from you, we will update your commission style listing as soon as possible, and will let you know via email once the changes have been made. If you sell a commission through ArtCorgi, you grant your client a worldwide, fully-paid, royalty-free, non-exclusive, non-transferable, non-commercial, perpetual license to your clients with the right to reproduce, distribute, transmit, create derivative works of, and publicly display their commissions for personal purposes. Worldwide: It doesn’t matter if your client is in Toronto or Tokyo, your client can use your commission within the bounds of this license. Fully-paid: Your client has paid you. Your client is not expected to pay you more to use the commission within the bounds of this license. Royalty-free: For example, your client does not have to pay royalties every time she shares her commission with her friends on Twitter or has it printed on something (like a pillow or canvas) for personal uses. Non-exclusive: You, the artist, can license that commission to other people. Say someone really wants to use it as an album cover. Great. Sell them rights to do so. It’s fine by this license. Non-transferable: Your client cannot give her license to another person. Only she can have it. Non-commercial: Your client cannot use the commission for commercial purposes, such as advertising or promotion. Your client cannot sell things incorporating your commission (like shirts) for profit. Perpetual: Your client’s rights do not have a set expiration date (say, on January 18th, 2015, for example). To reproduce: This makes it possible for your client to reproduce your commission within the bounds of this license (that is, for personal, non-commercial reasons). For example, your client can print your commission on a poster he displays in his living room, or have it printed on a Christmas card he sends to friends. Distribute: See the above example. Your client will have the right to share his commission for personal purposes. Transmit: For example, your client can share the commission on Facebook and Twitter. Create derivative works of: This means your client can alter her commission. For example, your client use your commission to create an engagement card with text overlay or crop the image to use it as a social media avatar. Publicly display: This allows your client to display the work you created. For example, your client can showcase your commission as his Facebook cover photo. Personal purposes: This means your client does not have permission to use the work for commercial purposes. You client can only distribute, reproduce, display, etc. your commission for personal purposes- not to earn money or promote a business. For an official explanation of what all the terms in our contract mean, please consult a lawyer.